The Galapagos Islands are a notoriously expensive destination. This is especially true for backpackers making their way along the Gringo Trail from Colombia to Brazil. Most of the backpackers I met along my way were extremely jealous of my visit to the Galapagos islands. They simply didn’t have the room in their budget for the big trip over to the islands, and instead chose to skip it in lieu of other adventures on the mainland. For me skipping the Galapagos islands was not an option. It had been on my bucket list for as long as I could remember and it was one of the major reasons I added the continent of South America to my 15-month trip. Luckily, I’d specifically set aside extra money to be able to afford my trip to the islands. But despite the savings I really wanted to save as much money as possible on my trip to the Galapagos islands, without sacrificing my experience. So, based on my experiences I’ve put together this guide on budget travel in the Galapagos islands. The Galapagos islands are located 1000km off the coast of Ecuador. It’s a long way so naturally your flight to and from the island will be a large amount of your expenses. I paid around $400 USD for mine and I think that was a bit excessive. Lots of my friends got cheap flights to and from the islands using the website cheapoair.com which seemed to have lots of promotions and cheap flights that didn’t necessarily come up even on Skyscanner or my usual flight search engines. So, I’d recommend heading over to that website. An important thing to note is that most of the airlines travelling between the islands let you change your flights for free or for a ridiculously small fee. So, if like me you find yourself wanting to extend (or perhaps shorten if you are running out of money) your time on the island it is really easy to do! One of the worst kept secrets about cheap deals in the Galapagos islands is that you can grab cheap, last minute deals if you just arrive on the island with no plans. If you arrive on the main island of Santa Cruz, you’ll find countless travel agencies around Puerto Ayora that are advertising last minute deals on cruises. Most of the boats that sail around the Galapagos come in four different classes of boat; Luxury Class, First Class, Tourist Superior Class or Economy/Tourist Class. Obviously if you are doing the Galapagos islands on a budget then you want to be looking at the economy class boats. Prices will vary depending not just on the boat, but on the time of the year (whether it is low or high season), the itinerary of the boat, the size of your group and whether you are willing to share a cabin with another traveller. It took me hours of wandering around Puerto Ayora in the heat and negotiating with various travel agencies before I settled on an 8-day cruise on the Galapagos Islands for $1000 USD aboard the Lonesome George (Solitario Jorge in Spanish) which is an economy class boat. I booked this trip through Eternal Dreams Travel Agency and it included 7 breakfasts, 6 lunches and 7 dinners. It also included all our snorkelling and land trips (2-3 per day), snacks and even some drinks and juice that they provided to us at meal times. It didn’t include wetsuit hire but Jorge at Eternal Dreams Travel Agency will let you rent his out for free if you provide a deposit. Given all that is included, $125 USD is not too bad. It’s almost three times as much as I spent on the mainland of Ecuador, Colombia and Peru but for an expensive destination like the Galapagos I thought it was a pretty good deal. If you want to read more about my itinerary on the Lonesome George and my experience, you can read my review here. The three main islands of the Galapagos islands are Santa Cruz, Isabela and San Cristobal and they are easy to visit on your own. 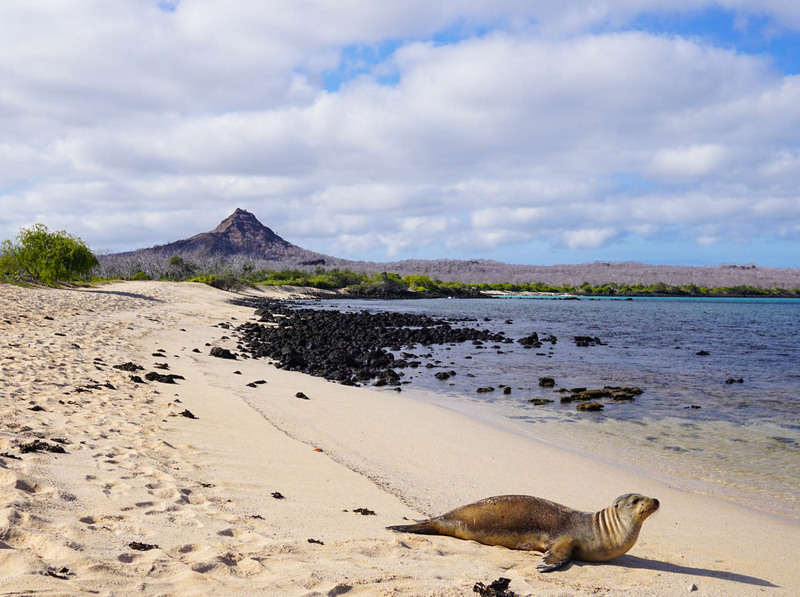 Like the rest of the Galapagos islands you’ll save the most money by not pre-booking anything. All the budget accommodation I saw advertised online for Puerto Ayora was upwards of $30-$40 USD per night. But when I arrived in Puerto Ayora and wandered around for a bit I managed to get a private room with ensuite for only $15 USD per night. I paid the same amount for a dorm room on Isla Isabela which I travelled to on my own after my time on the Lonesome George. I’d say $15 USD per night is a safe budget for a solo traveller. A twin room usually only costs $20 USD so it’s a bit cheaper if you aren’t alone. There are regular boat connections between all three of the islands. Although you won’t be able to get between San Cristobal and Isabela without changing boats in Santa Cruz. It takes about two hours between Santa Cruz and Isabela, and about the same between San Cristobal and Santa Cruz. You’ll pay anything between $25-$35USD one way depending on which travel agency or booking agency you go through. Food on the islands is surprisingly affordable if you are willing to wander around and check out the different restaurants. On both Santa Cruz and Isla Isabela I could find lunch and dinner deals for between $5 and $7 USD. This included a soup, a main and a juice. Sometimes it even included dessert! Don’t expect anything too fancy- the main mostly consisted of some sort of grilled meat, rice, beans and a sad looking salad. But if you throw enough chilli sauce on it, it all tastes good! There are lots of free activities on all the islands. On Santa Cruz, Isabela and San Cristobal it is easy to hire a bike to visit some of the nearby snorkelling spots and hiking paths. This was particularly easy in Isabela. 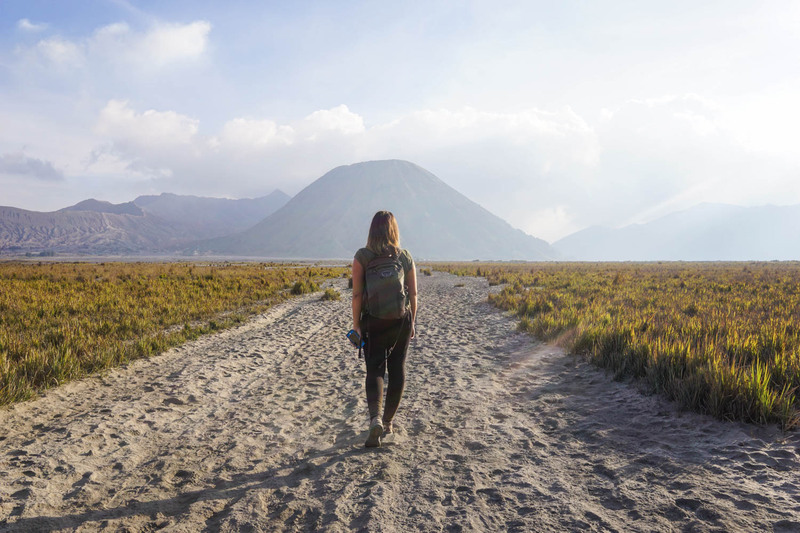 You can bike out to some hiking trails where you’ll spot lagoons loaded with flamingos and you’ll most likely also spot some of the famous giant tortoises. You can walk/bike to the pier and find some great snorkelling just a short walk from where the boats leave from. In San Cristobal, there are also great hiking trails and snorkelling spots a walkable distance from town. Just follow the path from the San Cristobal Interpretation Centre. Santa Cruz is a little more difficult. There are some swimming spots and beaches you can bike to but it might not be an easy ride. One of the most popular spots on the island is the El Chato Ranch which is a nature reserve full of hundreds of free roaming giant tortoises. A good way to get here is to pay the $20-$30 USD for a taxi, load your bikes up in the back and bike back to town. Otherwise the return journey becomes quite expensive. On these islands your guesthouse/accommodation will be able to help you out with tips on where to go, bicycle hire and the hire of snorkelling equipment. This is by far the biggest expense for the independent travel method. Organised day trips are super expensive on the Galapagos islands. But if you are going to fully experience the Galapagos islands you need to sign up to some of them. Particularly when it comes to snorkelling and spotting amazing marine life like sea lions, giant sea turtles, white tipped reef sharks – you need to venture away from the towns. The day trips that I would recommend is going to Pinzon from Santa Cruz (I stopped here on the Lonesome George and it was by far my favourite snorkel stop), the Tunneles snorkel trip from Isabela and the Volcano Hike on Isabela. I’ve also heard amazing things about the Bartoleme snorkel trip from Santa Cruz. Most of the snorkel trips are expensive- around $120 USD for a half day trip. The volcano hike is usually around $50 USD. It’s one of the reasons why I think my last-minute cruise deal was such good value. 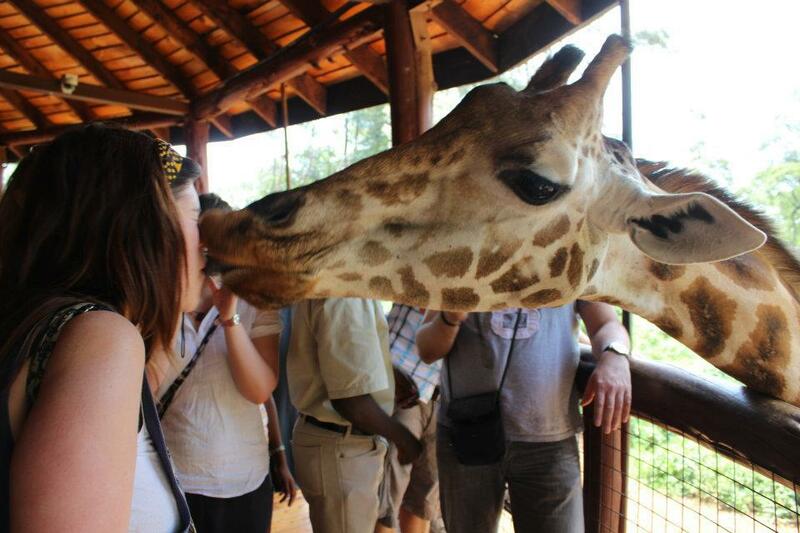 I got to do so many activities a day and only paid $125 USD per day which included meals and accommodation. Let’s say you spend three days on each island during your independent trip. That’s roughly $120 USD of accommodation, $180 USD in meals, $120 USD in boat transfers (presuming you arrive and leave from Santa Cruz), $60 USD for snorkelling and bicycle hire, and if you do three or four day trips, probably another $300-$400 USD. So yes it is cheaper to do the Galapagos independently- based on these calculations you’ll be spending around $700-$800 USD. But that’s only a saving of $200-$300 USD in comparison to my $1000, 8-day cruise. Given all the extra place I got to visit, the extra islands we stopped at, and the unique experience of seeing the Galapagos by boat, I’d say that that little bit of extra money is worth it. Option 3: Why Not Do Both? This is what I decided to do. I spent the first 8 days of my Galapagos trip on the Lonesome George, and then three days after that travelling independently in Isabela. I think another great option is to hop on a cheap boat like the Lonesome George for 4-5 days (it should cost you around $600 USD) and then do some independent stuff on Isabela. Hey. Do you have to pay cash for everything or are there atms. The entrance fee is that cash. I’m going in 2 weeks just want to know what to take. Can you take food items over too? How much is snorkel and bike hire? Most places will accept a paypal/credit card payments for the tours etc but they’ll charge you. So best to take cash. I needed to pay the entrance fee in cash as well. You cannot take food items. I never hired a snorkel or bike so can’t comment on the price sorry!